Who would fill Deputy Attorney General Rod Rosenstein's position if he's fired or resigns? WATCH Who is Noel Francisco? Reports about Deputy Attorney General Rod Rosenstein's possible departure from his post on Monday prompted a round of questions and rife speculation about who could take over his responsibilities. The answer: It could be more than one person. The documented line of succession at the Department of Justice is a subject that has come up multiple times during the Trump administration, particularly whenever the president publicly criticized either Attorney General Jeff Sessions or Rosenstein, who has been the department’s number two and has overseen the Russia investigation since Sessions recused himself. That said, while there is an order of succession that could be followed, it isn't set in stone. And it's complicated by Sessions’ recusal. The trouble with predicting who will be filling Rosenstein's shoes is that there's a chance that President Donald Trump will choose to opt out of the traditional line of succession in favor of picking someone else to replace Rosenstein. There are different paths that could be taken if Rosenstein leaves. Earlier this year, Associate Attorney General Rachel Brand was seen as Rosenstein's likely replacement by the order of succession laid out in a Department of Justice memo, but she left the Justice Department in February to join Walmart. Now, since Brand’s position has yet to be filled, the next in line would typically be Solicitor General Noel Francisco, based on succession guidelines laid out in that memo. However, Francisco would not be able to replace Rosenstein in both title and purview. Rosenstein has been overseeing the Russia investigation because Sessions recused himself from oversight of the special counsel's investigation. As a result, Rosenstein has been fulfilling his official duties as deputy attorney general, as well as serving as the acting attorney general in respect to the Russia investigation. If Rosenstein is replaced, however, there is a federal rule that says that one person cannot serve in two "acting" roles at the same time, so the acting deputy attorney general could not also be the acting attorney general for the Russia investigation. According to federal law, the president can appoint anyone to fill Rosenstein’s shoes if they have served for more than 90 days in certain high-level managerial roles within the Justice Department. Two sources told ABC News that the White House and the Justice Department have specifically discussed using this route, with one possible plan to make Matt Whitaker, the current chief of staff to Sessions, the acting deputy attorney general -- but Whitaker would not have oversight of the special counsel's investigation. Instead, those sources told ABC News Francisco would be in charge of the Russia probe. But there may also be some debate on that front, as Francisco was previously a partner at the law firm Jones Day, which represents the Trump campaign. Nevertheless, sources told ABC News that administration officials believe Francisco would not have to recuse himself from the Russia probe and would be able to oversee it. Francisco clerked for late Supreme Court Justice Antonin Scalia and served in the Office of Counsel to the President from 2001 to 2003 during the George W. Bush administration. In 2003, he served as a deputy assistant attorney general in the U.S. Department of Justice, Office of Legal Counsel, according to his current Department of Justice biography. Before his current post as solicitor general at the Department of Justice, Francisco was a partner at the law firm Jones Day, which also counted White House Counsel Don McGahn as a partner. The prospect of having Francisco as the acting deputy attorney general has been floated for months since Brand's departure, but back in April, Trump confidante, former New Jersey Gov. Chris Christie didn't seem to think it would be a good fit. "If Rod Rosenstein were to be fired, this doesn't solve any problems. If the president -- that's what the president is doing, who is going to be in charge, Noel Francisco, the solicitor general? 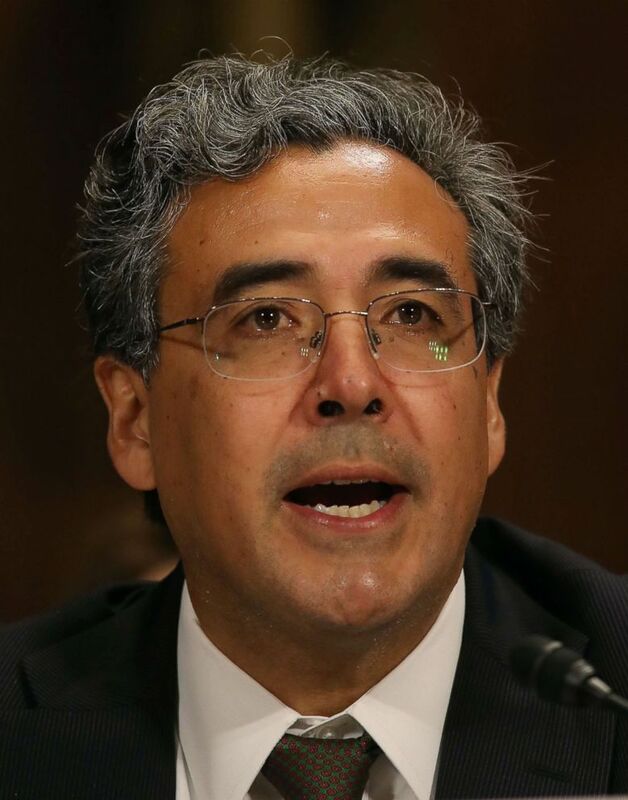 I can tell you, Noel Francisco, very talented lawyer, but to be solicitor general, you have a specific skill set. And running a Russia collusion investigation is probably not one of them," Christie said on ABC's "This Week". Mary McCord, visiting professor at Georgetown Law's Institute for Constitutional Advocacy and Protection, worked with Francisco briefly at the Department of Justice, as she is a former acting assistant attorney general for national security. She said that Francisco "is a conservative thinker" and has worked extensively on Supreme Court cases in his role as solicitor general. "He's certainly capable of taking on that acting role," she said of the prospect of Francisco taking over as deputy attorney general should Rosenstein leave. "He's certainly a smart person who knows how the department works," she said. There is also another path for Trump to have a hand in picking a possible replacement for Rosenstein. A portion of the U.S. Code stipulates that an individual's first assistant can serve as their temporary replacement, and in the case of Rosenstein, that would mean the role could go to Ed O'Callaghan, who was named acting principal associate deputy attorney general in April. Separately, the Federal Vacancies Act, which has since been updated and called the Vacancies Reform Act, allows for Trump to pick anyone from any executive agency to fill an emptied position temporarily as long as they were approved by the Senate to serve in their current role. The act stipulates that if a person in a Senate-confirmed role, like deputy attorney general, "dies, resigns or is otherwise unable to perform the functions and duties of the office," the act allows for Trump to pick a temporary replacement for only 210 days. The language in the act does not specifically address if it applies to someone who is fired or dismissed. "There's some disagreement in the law about whether the Vacancies Act applies if someone is fired as opposed to resigns," said David Lewis, a political science professor at Vanderbilt University. "The Vacancies Act is an effort by Congress to limit the president's ability to use temporary appointments to circumvent the Senate's right to have a say in presidential nominations," said Lewis. Temporary presidential appointments do not require Senate confirmation. As of Monday afternoon, Rosenstein remains at his post. He is expected to meet with the president on Thursday. Who could take over the Mueller probe if Rosenstein's fired?